Just Taste was developed by the JUST RUN® youth fitness program to introduce children to a wide variety of healthy foods in either a school or home setting. Exercise and eating well go hand in hand! Studies have shown that one of the best ways to improve diet is by expanding nutritional food choices and by exposing children to a wide variety of healthy foods while they are young. Just Taste lists 100 fruits, vegetables, nuts, and legumes that provide nutritious alternatives to unhealthy and fast food choices. 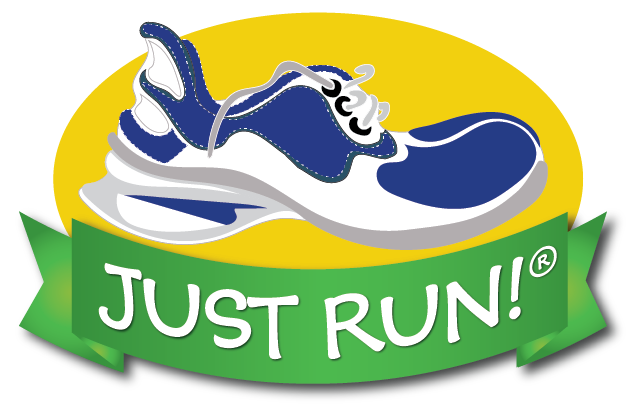 Just Taste is an educational and fun activity and effectively complements the JUST RUN program. Children and parents, as well, are encouraged to study the wealth of information on the website and to “JUST TASTE” as many of the healthy foods as possible. Distribute the JUST TASTE form, also found in the Forms section of the JUST RUN website, to record which of the 100 food choices they have JUST TASTED and studied. Teachers/leaders should determine how many of the listed items the children need to taste and/or study to be eligible for the JUST TASTE Superstar Certificate of Achievement! Leaders can download the Certificate by clicking here. Present the certificates during your award ceremonies. Each of the listed fruits, vegetables, nuts, and legumes in this section is linked to the Wikipedia. This makes it very easy for the students to write a paper or to report to the class about a selected or assigned fruit, vegetable, nut or legume. Share this website link with them! IMPORTANT NOTE: Before you have your students taste any item on the list, particularly with nut and soy products, make sure that none of the children have allergies. Also, with mushrooms, make sure they are store purchased and NOT picked in the wild. Hydration (drinking water and other liquids) is very important for children as they have higher water requirements in relation to their weight than adults. Children don’t always recognize the early stages of thirst, which can make them particularly vulnerable to becoming dehydrated, especially during times when they are playing sports, running, or doing other physical activity during warm weather. Dehydration, even if only mild, can cause tiredness, headaches, lack of concentration, and reduced mental performance. Extreme dehydration is a significant health risk. Most health organizations and nutritionists recommend water as the only fluid that hydrates without calories or risking harm to teeth. Milk, certain fruit juices, and vegetable juices are okay if they do not have sugar or other additives. Read the labels. How much should children drink? The amount a child needs to drink can vary greatly due to factors including their age, gender, the weather, and physical activity. As a general recommendation it is advised that kids aged 4-13 drink approximately 6 to 8 (10 oz.) glasses of fluid a day. This is in addition to the water that they ingest in regular food in a healthy diet. Starting in the morning, children should drink regularly throughout the day. Children taking part in sports, or exposed to warm weather, need to replenish the lost fluids by drinking more water. You can help children to develop a taste for water by encouraging them to drink regularly and offering tastings throughout the day. To make it more appealing add ice, a slice of lemon or a curly straw. 1. When we are born, water makes up about 75% of our body weight. 2. Water composes approximately 65% of the body weight of older children and adults. 3. Water is constantly being lost from our bodies during the day when we breathe, sweat and go to the toilet. If we do not drink enough we become dehydrated. It carries nutrients and oxygen to our body cells. It protects organs and tissues and removes wastes. It helps to control our body temperature. It helps our bodies to function at our best and affects sports performance. It helps to rinse our mouths and prevent tooth decay. 5. Water is found in all drinks and also in food. For example, water is orange juice and milk as well as in fruits and vegetables. Almost all food items contain water. 6. People can survive for up to 50 days without food but only a few days without drinking water. A balanced diet is one that provides the body with the nutrition that it needs to function properly. In order to get truly balanced nutrition, one should obtain the majority of daily calories from fresh fruits, vegetables, whole grains, and lean proteins. The number of calories in a food item is a measurement of the amount of energy stored within that food. The energy contained in foods is used by the human body for walking, thinking, breathing, and all body functioning. The average adult requires approximately 2,000 calories every day to maintain his or her weight. The source of an individual’s daily calories is just as important as the number of calories consumed. The consumption of “empty calories,” or those that provide little or no nutritional value, should be limited. The U.S. Department of Agriculture (USDA) defines empty calories as calories that come from sugars and solid fats, such as butter and shortening. According to the USDA, Americans consume empty calories most often in the following foods: bacon and sausages, cakes, cookies, cheese, doughnuts, energy drinks, sugared fruit drinks, ice cream, pizza, sports drinks, and sodas. A balanced diet is important for the body’s organs and tissues to work effectively. Without good nutrition, the body is more prone to disease, infection, fatigue, and poor performance. Children with a poor diet run the risk of growth and developmental problem and their bad eating habits generally continue in their futures. Rising levels of obesity and diabetes in America are prime examples of the effects of poor diet and lack of exercise. The USDA reports that four of the top 10 leading causes of death in the United States are directly influenced by bad diet and nutritional choices. These are heart disease, cancer, stroke, and diabetes. Besides being a great source of nutrition, fruits make quick and tasty snacks. Preferably, fruits that are in season should be selected; they are fresher and provide the most nutrients. In the United States, refined white flour is consumed more than any other grain. During the refining process, the hull of the grain—the outer shell—is removed. Unfortunately, the hull is where the majority of the grain’s nutrition lies. Whole grains, which are prepared using the entire grain, including the hull, provide much more nutrition. It is recommended that white to flour be replaced with whole-grain, found in breads and pastas for example. Meats (animal proteins) and beans are primary sources of protein, which is essential for proper muscle and brain development and maintenance. Lean, low-fat meats such as chicken, fish, and certain cuts of beef and pork are the best options. Removing the skin and trimming off any visible fat are easy ways to reduce the amount of fat and cholesterol in meats. Oils should be used sparingly. Choose low-fat versions of products that contain oil, such as salad dressing and mayonnaise. “Good” oils, such as olive oil, can replace fattier vegetable oil in a healthy diet. Foods that have been deep-fried in oil, because they contain a large number of empty calories, should be avoided. The USDA highlights these key substances and recommends moderation in order to maintain a balanced diet and healthy weight: alcohol, cholesterol, refined grains, solid and saturated fats, salt, sugars. Color is proof that your meals and snacks provide great health benefits. Purple grapes, raisins, plums, blueberries, purple cabbage, dried plums to reduce cancer risk, keep the heart healthy, control high blood pressure. Tomatoes, spaghetti tomatoe sauce, watermelon, guava to reduce cancer risk. Cherries, strawberries, beets, red apples, red onions to reduce cancer risk, keep the heart healthy, control high blood pressure. Mangos, sweet potatoes, cantaloupe, carrots, apricots, butternut squash to reduce cancer risk, have a healthy heart, maintain good vision, keep your immune system strong. Oranges, grapefruit, papaya, nectarines, pears to reduce cancer risk, keep the heart strong, strengthen bones and teeth, keep the skin healthy, maintain eyesight. Spinach, collard greens, kiwi fruit, romaine lettuce, green peas to help maintain eyesight. Broccoli, green cabbage, Swiss Chard, bok chop to reduce cancer risk. Onions, garlic, leeks, scallions, chives to reduce cancer risk, keep the heart healthy, may lower cholesterol and control high blood pressure. "Eat your breakfast. It's the most important meal of the day!" Why are parents always saying that? Well, imagine you're a car. After a long night of sleeping, your fuel tank is empty. Breakfast is the fuel that gets you going so you can hit the road. Any breakfast is better than no breakfast, but try not to have doughnuts or pastries all the time. They're high in calories, sugar and fat. They also don't contain the nutrients a kid really needs. And if you have a doughnut for breakfast, you won't feel full for long. Some kids skip breakfast because they sleep too late or because they think it's a way to stay thin. But skipping breakfast doesn't help people maintain a healthy weight. In fact, someone who skips breakfast tends to eat more calories throughout the day. Just in case you need more evidence that eating breakfast is the way to go, kids who don't eat breakfast are less able to learn at school, get less iron (an important nutrient) in their diets and are more likely to have a higher body mass index (BMI), which is a sign they may be overweight. On the other hand, kids who eat breakfast do better in school, are more likely to participate in physical activities and tend to eat healthier overall. So tomorrow morning, don't run out the door on an empty stomach. Fuel up with a healthy breakfast! For more health information written for kids, visit KidsHealth.org/kid. In the perfect world we'd all have time to cook every meal from scratch... and our kids would love everything we prepare. Reality check! We lead chaotic lives and often don't have time to cook. And of course, a lot of our kids also tend to be picky eaters. The following items are guilt-free convenient foods because they're easy and healthy. Best part of all, they've been tested by thousands of families and kids of all ages (personally at my nutrition center) and have been widely accepted. Made from organic beans, tofu, whole wheat flour, brown rice, and veggies. No high fructose corn syrup or other nonsense. Wrap in a paper towel and pop in microwave for 3 minutes – done! For starchy breakfast waffles, this brand provides an impressive amount of protein and fiber. 2 Toasted Waffles = 170 calories, 8 grams protein, and 6 grams fiber! Plus, there’s no saturated or trans fat… and very little sugar. Made with soy and egg whites, these sausage links are significantly lower in calories and fat than the traditional beef and pork varieties. 2 links = 80 calories and 9 grams of protein with zero saturated fat. If weight is an issue, aim for 120 calories or less per ¾ cup serving. Although there’s no whole grain in this product, it’s a tasty, low-calorie, low-fat version of chicken parm - thanks to reduced cheese and un-fried chicken. One item provides 280 calories, 7 grams of fat and is a good source of calcium (150 milligrams) and protein (12 grams). Made with chicken that’s antibiotic free… and contains no fillers, preservatives, artificial flavorings or hydrogenated oil. 4 ounce serving provides 190 calories, 6 grams fat, 1 gram saturated fat and 0 trans fat. 1 cup provides 150 calories, 8 grams protein and 9 grams of fiber! Your kids have a variety to choose from and get a decent sized 'individual' pizza. The crust is thin and crispy and there is also a lot of cheese (low-fat cheese which delivers 250 milligrams of calcium -- 3/4s the amount in a glass of milk). One pizza has 280 calories, 7 grams total fat and 2 grams of saturated fat (considerably less than a standard New York slice at 600+ calories!). Made from straight turkey meat and seasoning (with very little salt) – and you can grill or pan fry with non-stick cooking spray… straight from the freezer. 1 Turkey Burger is only 160 calories and 9 grams of fat (2 grams saturated fat). Significantly less than your typical beef burger! Stick turkey burger on a 100% whole grain hamburger bun… top with tomato and a dab of ketchup… and serve with crunchy baby carrots on the side for a perfect meal. Not whole grain pasta – but offers other healthful benefits. Semolina flour is blended with barley, lentils and chickpeas (bumping up the fiber), egg whites (increasing protein) and ground flaxseeds adding more nutrients, fiber and some ‘but not much” omega 3 fats. Tasty, low-calorie dressing is often the perfect strategy for getting your kids to eat more veggies! The following brands are 50 calories or less per 2 Tablespoons… and have been widely accepted by kids. The Wishbone Spritzers (spray bottles) have the added appeal of fun. You can never go wrong with low-fat cheese – and the added work of pulling the stick cheese apart will keep your kids busy for a while. Whether it’s all white or a white/yellow combo, one stick typically provides 150 milligrams of calcium (that’s 1/2 the amount in an 8-ounce glass of milk). One small bag provides 140 calories. And thanks to the soy… 10 grams of protein and 3 grams of fiber. They come in a variety of flavors, however, in my experience kids tend to like Apple Cinnamon best. Two other varieties - Lightly Salted and Cheddar Cheese seem to be second in line. A fabulous treat for kids (and adults) at only 140 calories and 1.5 grams of fat. Comes in a variety of flavors from chocolate to peanut butter to strawberry… and thanks to fortification, your kids get 3 grams of fiber. No added sugar or high fructose corn syrup… which means half the calories and sugar. Only 50 calorie per half cup serving for this version… compared to 100 calories per half cup for the traditional sweetened. Always look for “natural” “no added sugar” or unsweetened”. Don't smoke or be around people who do. Don't use drugs or be around people who do. Exercise and move your body every day. Make sure you use your seat belts. Drink water - your body is 70% water. Eat a good breakfast every day. Eat a lot of fruits and vegetables. Have good friends and a lot of fun and laughter. Sleep 7 to 8 hours every night. Limit fat, salt, caffeine, and sugar in your food. The Latin American Diet Pyramid created by Oldways illustrates how traditional foods from a variety of Latino cultures can contribute to a healthy, balanced eating pattern. Alcohol may be consumed by adults in moderation and with meals, but consumption should be avoided during pregnancy and whenever it would put the individual or others at risk. This pyramid represents a healthy, traditional Latin American diet. It is based on two distinct historical periods of the culinary evolution of the peoples of the South American continent. The first period describes the dietary traditions of regions inhabited primarily by three high cultures of aboriginal Latin Americans: the Aztec, the Inca, and the Maya. The second period describes the dietary traditions that emerged following the arrival of Columbus, at about 1500, to the present time. The dietary patterns followed today by the people of Latin America find their roots in both of these historical culinary patterns. • The convergence of the dietary patterns revealed by these data and our current understanding of optimal nutrition based on world-wide epidemiological studies and clinical trials. Variations of these diets have traditionally existed in other parts of Central America, South America, the Caribbean, and the southern edge United States. For the purposes of this research, the aforementioned regions are considered as part of Latin America. They are closely related to traditional areas of maize, potato, peanut, and dry bean cultivation in the Latin American region. Given these carefully-defined parameters of geography and time, the phrase traditional Latin American diet is used here as a shorthand for those traditional diets of these regions and peoples during two specific time periods that are historically associated with good health. The design of the pyramid is not based solely on either the weight or the percentage of energy (calories) that foods account for in the diet, but on a blend of these that is meant to give relative proportions and a general sense of frequency of servings - as well as an indication of which foods to favor in a healthy Latin American-style diet. The pyramid describes a diet for most healthy adults. Whether changes would need to be made for children, women in their reproductive years, and other special population groups are issues that need further consideration. A principle objective of this graphic illustration is to foster a dialogue within the international scientific, public health, food and agricultural, governmental and other communities about what refinements in its specific elements and configurations, if any, are needed. For Asians, Africans, Europeans, North Americans and others who want to improve their diets, this model provides a highly palatable, healthful framework for change. Equally positive results can be obtained either by entirely adopting a Latin American-style diet, or by alternating meals based on this Latin American model with meals inspired by healthful dietary traditions of other cultures in other parts of the world, such as the Mediterranean and Asian diet models. Evidence is clear that people enjoy the foods of other cultures, and partake of these foods to enhance and augment their knowledge and understanding of different cultures. For those living in the Latin American region, this pyramid provides a basis for preserving and revitalizing within a modern lifestyle the centuries-old traditions that contribute to excellent health, a sense of pleasure and well-being, and are a vital part of our collective cultural heritage. The pyramid is the third in a series developed during the 1990s to illustrate graphically the healthy traditional food and dietary patterns of various cultures and regions of the world. This initiative is a result of a multiyear conference series, "Public Health Implications of Traditional Diets," jointly organized by Harvard School of Public Health and Oldways Preservation & Exchange Trust. These pyramids, taken as a collection, offer substantive refinements of the United States Department of Agriculture's Food Guide Pyramid, refinements that reflect the current state of clinical and epidemiological research worldwide and our understanding of what constitutes optimal human nutrition status.